The "fun" spirit of the Aprilia sport bike is without a doubt the spirit tied to the world of Supermotard bikes. Born as a street version of off-road bikes, Supermotards combined the enduro bikes' ease of riding with set-ups and performance for the asphalt. 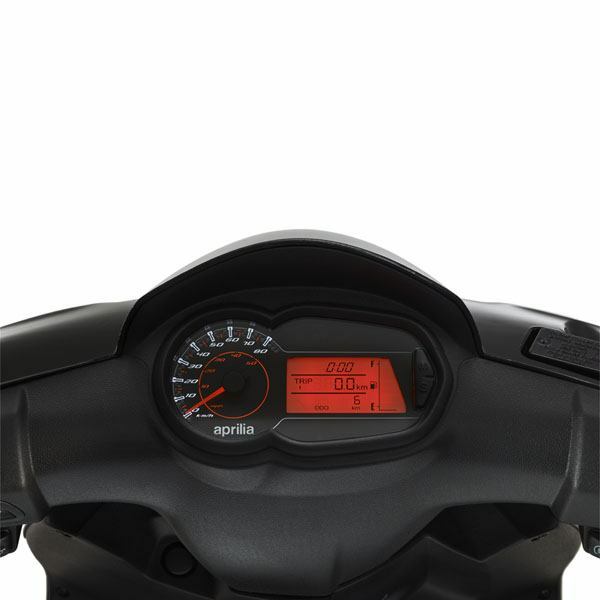 The new SR Motard brings the spirit of great Aprilia Supermotards into the SR sport scooter family.The handlebar has a new LCD display, a light unit included in the shield and, above all, a distinct "beak" on the front wheel (a reference to the off-road world). New passenger handlebars and pullup passenger footrests improve the riding comfort. 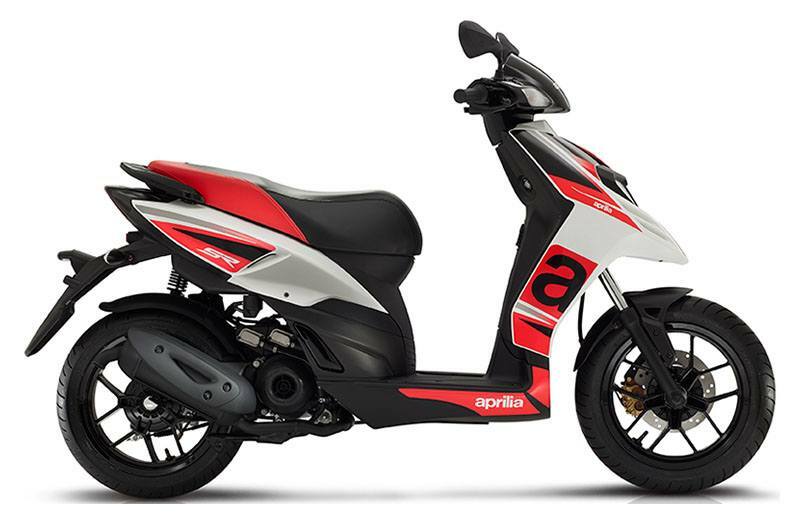 The large black 14" wheels with five doubled spokes show a decisive and sportive design drawn from the Aprilia racing bikes. 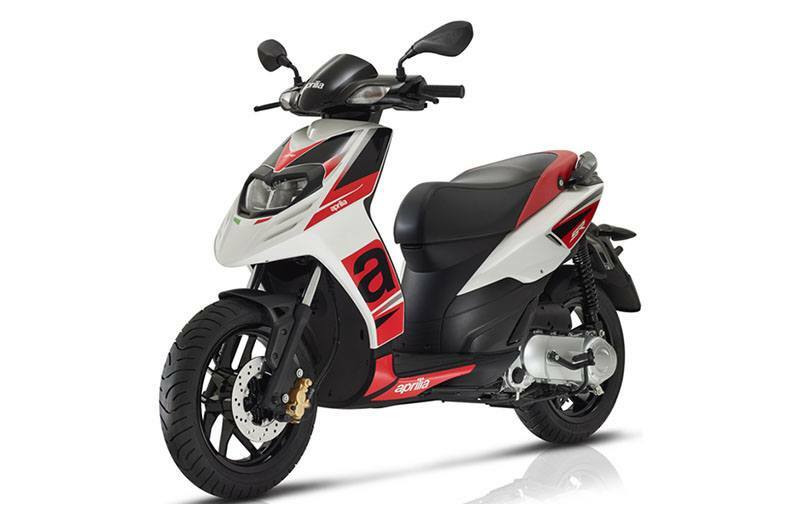 Sleek and spirited, the SR Motard rear end holds a large and comfortable saddle that bears the new graphics of the body on the sides, a refinement which enhances the liveliness of a vehicle born to make every city ride fun. The large helmet compartment, capable of holding a full-Jet helmet, is now equipped with a USB socket. Modern, clean and eager engine for exhilarating fun even when carving through the daily urban jungle. Thanks to its lightness and responsiveness, the Euro4 2-stroke 50cc air-cooled engine with electronic carburetor proves to be the most suited for youngsters. The frame in steel tubing holds a telescopic fork while the rear operates a dual action single hydraulic shock absorber linked to the transmission unit that works as a swingarm. The large 14" wheels are shod with sport street tyres.Braking safety is guaranteed by the 220 mm front disc backed up by the powerful 140 mm modulable rear drum.